This Almond scrub is super quick to whip up and will give your skin a fresh winter glow. Almond meal (ground almonds here in the UK) makes a great base for a facial scrub, or mask, as it exfoliates surface dry skin gently. What could be better than a natural beauty product that does the job, cost far less and is kind to both you and the planet (no harmful microbeads here). This recipe only calls for 2 ingredients and can be adapted to suit your own skin type. If you have oily skin use water, for normal skin use milk and for dry skin use cream. This scrub is gentle enough to use daily but you can also just whip some up as needed. Because of the ingredients used, it's best to make some up fresh, as needed, rather than store up a big batch. 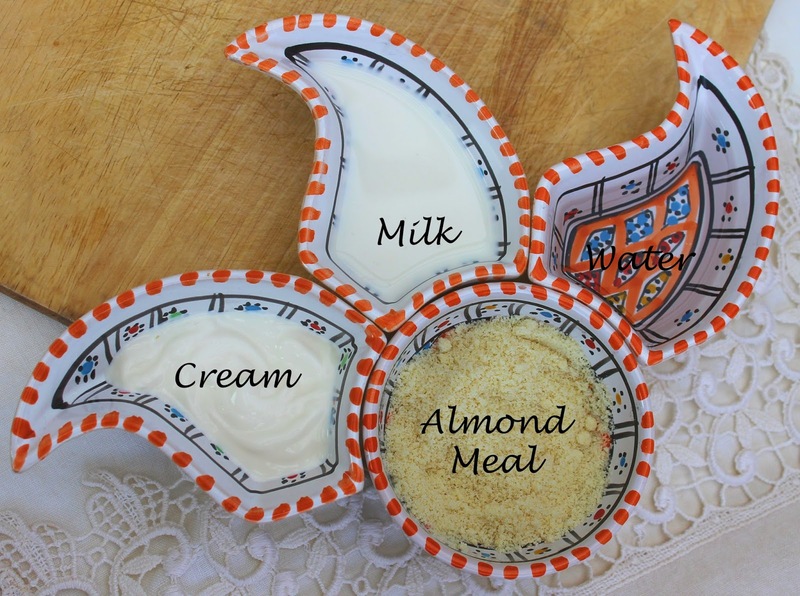 In a small bowl combine 2 teaspoons of Almond Meal with enough water, milk or cream to form a smooth, spreadable paste. Using your fingertips, massage into moistened skin for a minute or so. Rinse thoroughly and pat skin dry. Follow up with your favourite moisturiser.